Do you have a large family or do your friends visit often? 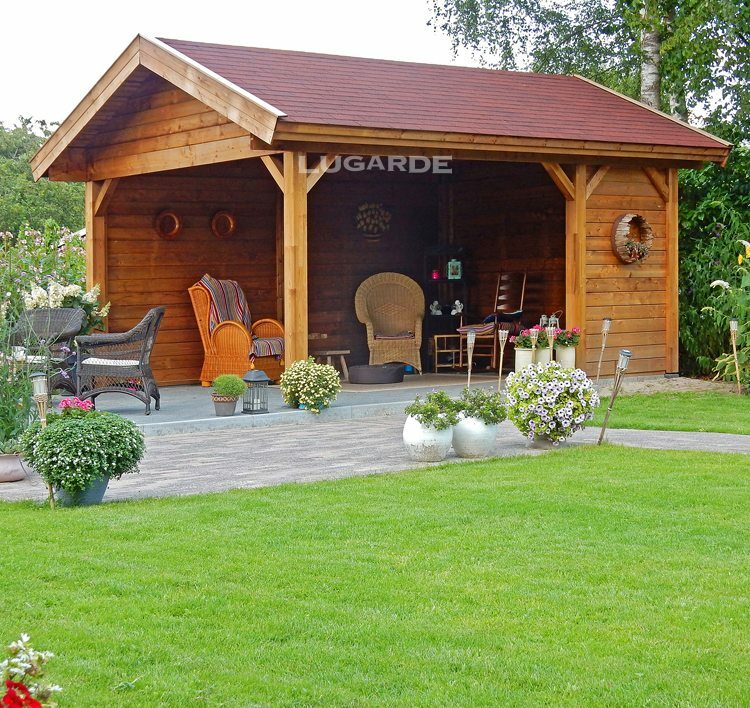 This gazebo with saddle roof has a bit of a barn effect offering plenty of space for a fun barbecue. The semi-open and two fully closed sides make it a sheltered spot to sit even if the weather isn’t ideal.